Located 80 miles northwest of Rapid City, SD, this 30-acre hamlet features a 126-year-old general store and post office, a bar and homes for the town's 15 full-time residents. And the whole town can be yours for the bargain basement price of just $1.5 million. 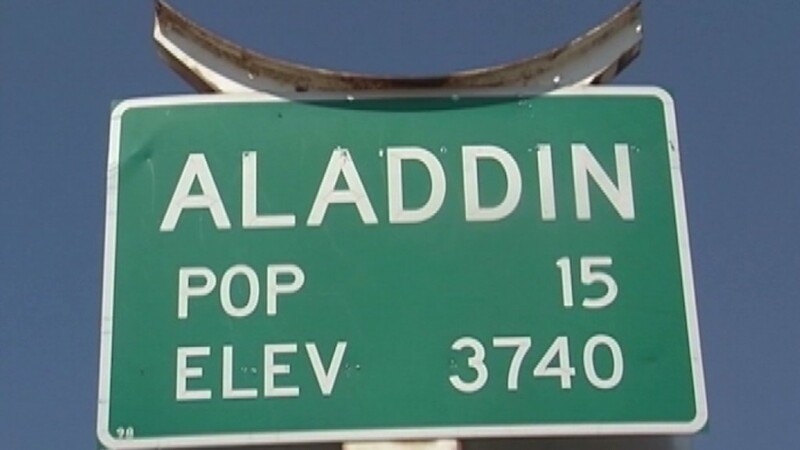 At its peak, Aladdin was home to 200 people, most of whom worked at a nearby coal mine. In the years since the mine closed, the population has dwindled to just over a dozen people. The town's owner, Judy Brengle, came into possession of the town 28 years ago when her husband bought it for her as a gift, says the couple's granddaughter Laramie Noyce. Noyce has fond memories of her childhood in Aladdin and hopes if the town is sold, the new owners will keep it as is. "We grew up here. We don't want it to change." Brengle said she's selling the town so she can focus on other pursuits. "There are things we need to do on the ranch that we haven't," she told affiliate KEVN. "We have another store in South Dakota and we're busy going back and forth and we'd like more time to travel." But she decided to forego investors' meetings, escrow, or an expensive real estate listing and advertise the sale in a much more low-key fashion...with a sign that hangs on the door of the century-old landmark general store. The store opened in 1896 and served as a commissary for coal workers. In the years since it has also become the town's primary retailer post office, serving the full-time residents of Aladdin, as well as dozens of others who live nearby. The post office and general store, as well a bar, the Brengle family's four-bedroom home and the property under the town's trailer park are all included in the $1.5 million price. And since there is no indoor plumbing or sewage system, an outhouse is also being thrown into the deal. Brengle says she hasn't gotten any offers to buy the town yet, but when she does, she says she's not going anywhere. She plans to live in Aladdin as long as she can. "It's so quiet and a great place to raise kids. It's a wonderful place to live," she said.